ASGS Coloured Glass & Stained Glass Patterns are leaders in Stained Glass Supplies including Glass, Tools, Books, Equipment and Classes. With hundreds of individual products to choose from ASGS Coloured Glass & Stained Glass Patterns supply everyone from beginners to professionals both in Australia and overseas. ASGS Coloured Glass & Stained Glass Patterns have their headquarters and warehouse in 8/111 Moore St, Leichhardt (Sydney) and ship to all parts of Australia, Asia Pacific, US, Canada & Europe. Bullseye, Spectrum, Wissmach, Russian Strom, Desag New 75, Glass Sample Sets, Bevels, Glass Jewels, Gems, Nuggets & Globs, Brilliant Cuts, Rondels – Hand Spun, Patterned Clear Glass. Dichroic Glass, Moulds for Slumbing. Grinders, Accessories & Grinding Heads. Glass Cutters, Leading Equipment, Soldering Equipment, Re-Strip & Copper Wire, Reinforcing Bar, Pliers, Copper Foiling Tools, Display Materials. Kiln Working Books, Stained Glass Painting, Leadlight Pattern Books, Lamp Shade Design & Construction, Light Catcher Christmas & Wildlife Designs, Mirror Patters, Instruction & Construction, Lamp Shade Instruction, Clock / Boxes / Terrarium Designs, Mosaic Books. Reusche Glass Paints & Stains, Deka Paints (non firing paint). Lead, Copper Foil, Zinc, Adhesive Backed Lead, Solder. Fluxes, D-Lead Soap, Putty & Patinas. 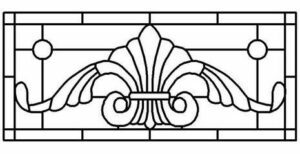 ASGS Coloured Glass & sStained Glass Patterns not only stock these and many other stained glass products, they are also recognised as experts in the Australian Stained Glass Industry. Their opinions and advice are sought after by hobbyists and professionals from Australia and across the globe. So when you deal with ASGS Coloured Glass & Stained Glass Patterns rest assured that they know exactly what they are selling and are more than happy to advise you if you need help. Contact ASGS on 1800 65 22 44 (ordering) or (02) 9660 7444 for general enquiries.